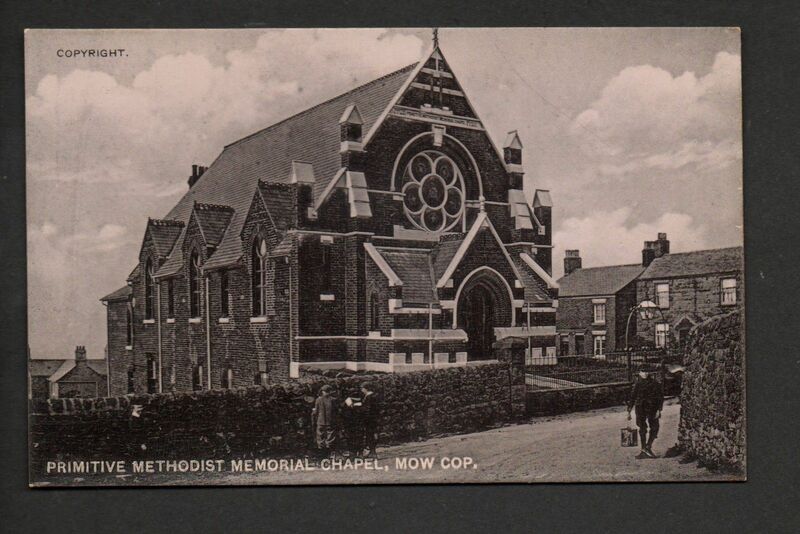 The use of a ‘magic lantern’ with Victorian magic lantern slides on a Sunday afternoon at Mow Cop Methodist Chapel is bringing back many memories from the past. Past generations found a rich social life at the local chapel, and this was particularly important in an isolated, wind-swept location with inhabitants who worked long and hard hours to earn a basic living wage as at Mow Cop. Spiritual and social life was nourished at the local chapel. As part of the ‘open days’ magic lantern stories being shown include ‘the Calculating Cobbler’,’ the Blacksmith’, ‘the Lifeboat Men’ and the ‘White-washer and the Chimney Sweep’. There will also be a conducted tour of the chapel and an opportunity with ‘hands on’ equipment to learn about the Primitive Methodist way of life. Originally the magic lantern was lit with a four wick oil burner and this is retained today for viewing. However for safety the actual light is provided for these shows with a contemporary twelve volt battery. This is a low level of illumination by modern standards, however with the aid of the large lenses of the magic lantern many visitors are surprised at the quality of the picture that is produced on the screen. The magic lantern slide shows continue each Sunday afternoon from Sunday 29 April until Sunday 20 May between 2.00- 4.30 pm at the Mow Cop Methodist Chapel, Primitive Street, Mow Cop ST7 3NW. Admission is free and tea and coffee will be available. The picture shows our dear friend, Sue Simcoe with one of the magic lantern slides correctly positioned upside down and ready for placing in the wooden ‘carriage’ of the magic lantern.